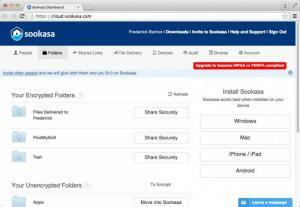 If you are a Dropbox user, then you might want to check out the advantages that Sookasa has to offer. A powerful encryption algorithm or its seamless integration with Dropbox are just a few examples of the features that this HIPAA and FERPA-compliant application places at your disposal. Besides uploading and sharing files, now you can encrypt them, to prevent unauthorized people from accessing them. Once you install and run Sookasa, the application will create a new folder in your local Dropbox folder. When you store new files in this folder, Sookasa will encrypt them, before Dropbox gets a chance to upload them. The files will remain the same in your local folder and you can access them without any problems, but they will be inaccessible on Dropbox's web interface. Sookasa comes with its own web-based dashboard, from which you can invite specific people to access your encrypted data, via email, manage encrypted and unencrypted data from Dropbox, audit files and devices and more. The auditing feature can let you know what files have been accessed, what devices have been attached and so on. In other words, you will know exactly who has accessed what, when and from where. Sookasa's secure delivery system is also worth mentioning. 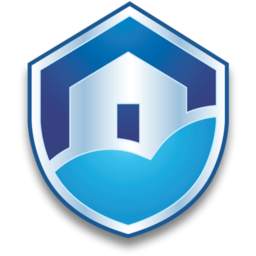 Besides sending encrypted data to other people, even if they don't have Sookasa on their own machines, it is also possible to receive files in a secure manner. All you have to do is provide a link to your contacts and they will be able to send data directly to your Sookasa folder. The application is capable of encrypting anything you upload to Dropbox. It lets you send and receive data in a secure manner. Its auditing system can help you figure out which files were accessed, when and by whom. Sookasa is not available for other cloud services. Any data you store in your Dropbox can be protected with a powerful encryption algorithm in just a few seconds, thanks to Sookasa's smart functionality. You can download Sookasa free here.